Emily Burns writes modern, ambitious and frank pop songs about relationships, spite, love and revenge. 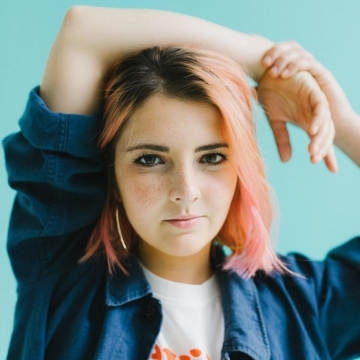 Born in Edinburgh, Scotland, Emily Burns realised a love for the English language and creative writing at a very young age, which naturally led to her penning lyrics and sharing her genuine experiences through music. Emily Burns is now based in London. Her music style is influenced by artists such as Tove Lo, Kehlani, Sigrid and Banks. Emily’s debut has amassed more that 15+ million steams worldwide and continues to gain support from across the board, including Tove Stryke who invited Emily to support on her tour. Emily’s latest single “Damn Good Liar” is the follow up to the release of her debut min-album, “Seven Scenes From The Same Summer”.